There’s a reason ProMax’s Desking solution wins awards from dealers year after year. It’s because our software helps you make money, not just count it! 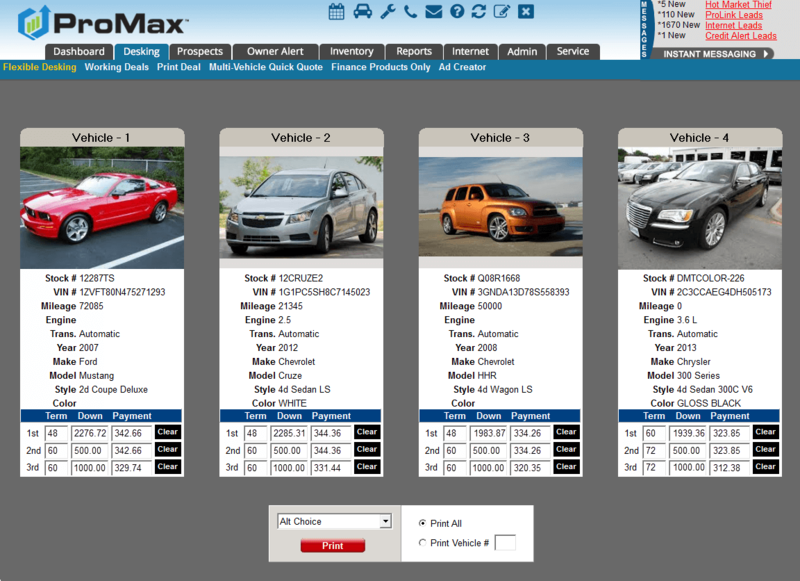 ProMax is full of powerful selling tools and great proposals that integrate seamlessly into your sales process. Begin every deal at full gross with an effective ProMax proposal. This great proposal combines the most effective elements of our Multi-Option Proposal (with up to 9 Retail and 9 Lease Payment options) and the Gas Savings Proposal plus allows a trade allowance breakdown. It also has configurable disclosure options, and much more. Prospect not on a specific vehicle yet? Start with the Deal Comparison Screen. 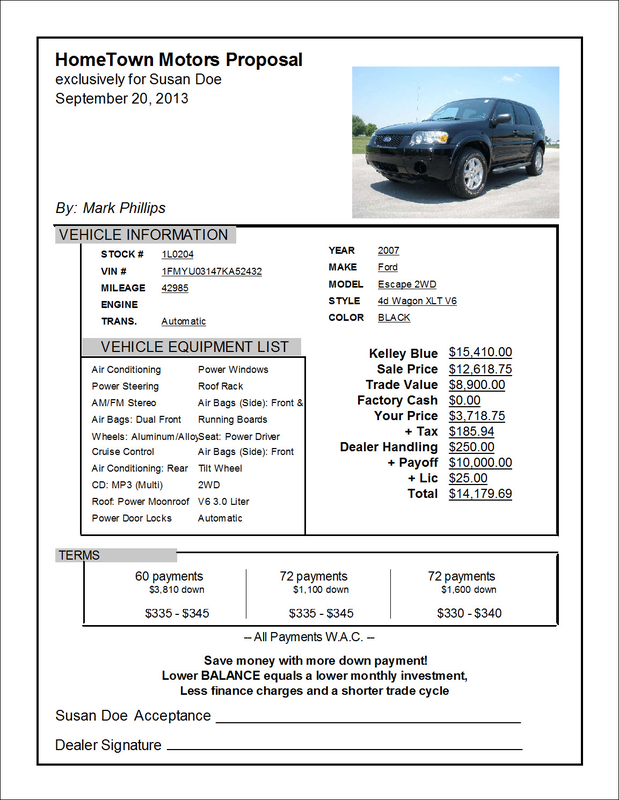 Compare multiple vehicles and deals, and navigate between them with ease. 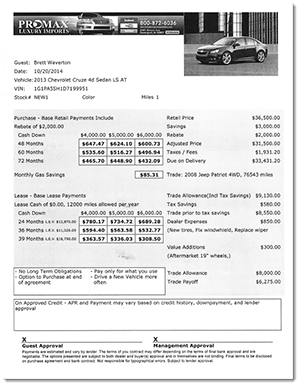 Select one of the proposals from the dropdown, and print it out or e-mail it to your customer. 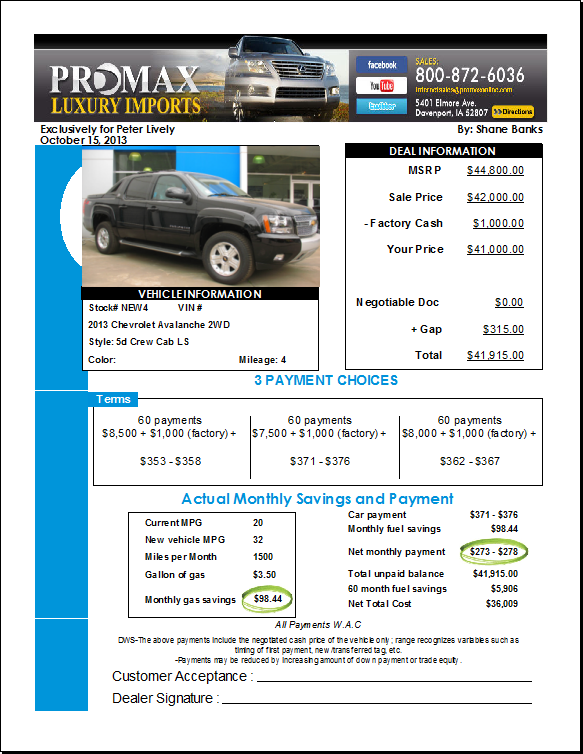 One of our most popular proposals, the Alt Choice shows your customer different cash down and payment options. MPGs are always improving. Show your customer how much money they’ll save long-term by trading in and going new. 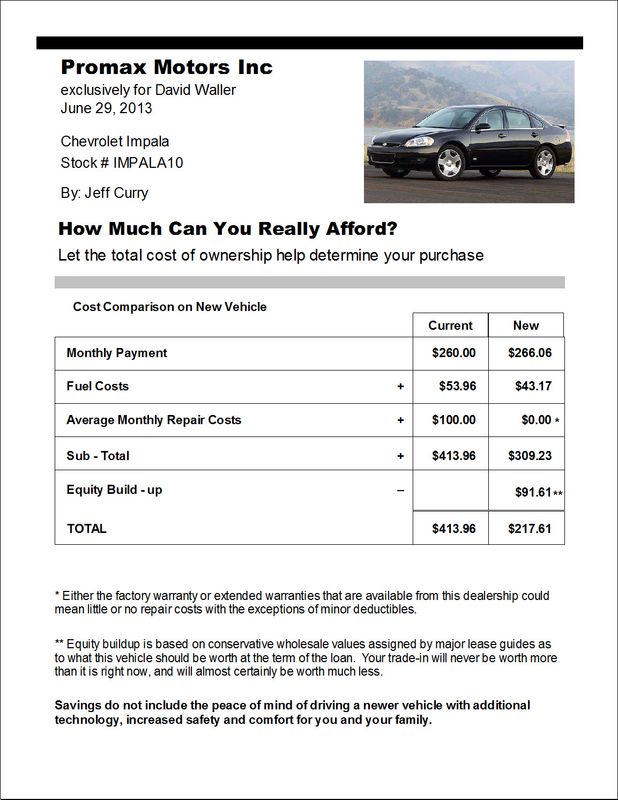 Another selling tool that convinces your customer to go new, this proposal considers the ACTUAL cost of ownership, taking into account repair costs and gas. These are just some of the great closes and proposals available to you at the click of a mouse. We also feature a number of classic proposals that have been industry favorites for years, such as the 4 Square, the 9 Pay, and the Ziegler.